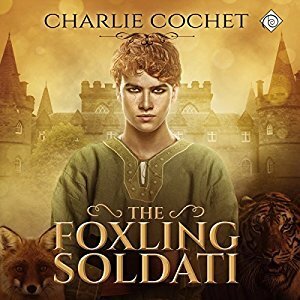 'The Foxling Soldati' is the second book in Charlie Cochet's 'Soldati Hearts' and while I did give both of these books 4 stars I have to say I in actual fact did like this one just a tiny bit more. So if I could I probably would have given this one 4.25 stars but somehow that just seems like splitting hairs. So I'm going to call it even at 4 stars and a little more love for this one. Toka is a Foxling and he's served the Soldati King for centuries and now serves the King's Soldati Prince Riley and as he helps Riley become accustomed to the world of the Soldati, he's also becoming bolder in his dealings with Rayner. Rayner is a Soldati Warrior and while he takes his pleasure with Toka and he realizes he cares for Toka more than he has any of his other dalliances...a Soldati Warrior falling in love with a servant is unheard if...it's not allowed. But with each encounter his feelings for Toka become clearer and his heart wants what his heart wants and as a Warrior, Rayner doesn't know the meaning of giving up or giving in and he's dertmined to find a way to have Toka for his mate. As this story progressed I become more and more enchanted not just with Toka, whom we met in the first book and whom I liked from the start but with Rayner. I loved how he was willing to examine his feelings and acknowledge them...even if it was only to himself at times. The more I saw of Toka the more adored him. His strength of character and willingness to sacrifice everything for those that he cared about and what he believed in proved him to be every bit the equal and warrior that Rayner was known to be. Added to Toka and Rayner's story was the conflict that it caused between Riley and Khalon the Soldati King as Riley went toe to toe with him in his efforts to make Khalon see that the old ways aren't always the best ways. But the true problem comes in when events from the past conspire to tear Toka and Rayner apart and the efforts of Rayner, Riley and Toka's love for him may not be enough to save Rayner from losing his love and his status as Soldati Warrior. The world of the Soldati is pure fantasy and this is a genre that I love and with this series Ms Cochet has breathed new life into my love for this genre. I can't wait for whatever comes next in the 'Soldati Hearts' series and I'll certainly be watching for it. So far I've enjoyed this series on audio and the narration of Manuel Pombo. I've loved his voices for the Soldati Characters he's added such a rich and unique tone to them giving them an accent that's not definable as to it's origins and making it purely 'Soldati' in my mind. 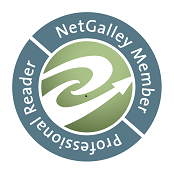 An audio book of 'The Foxling Soldati' was graciously provided by the publisher in exchange for an honest review.